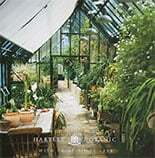 Hartley Botanic take great pride in our heritage and remain firm to our founding commitment to create the finest glasshouses money can buy. We carefully design each and every product to stand the test of time and are confident your chosen model will last a lifetime. That’s why we offer a 30-year lifetime guarantee, covering both the structure and installation, and giving you complete peace of mind that with Hartley you’re investing in the best. We want to be plain and transparent with you when it comes to explaining our product guarantees. There are certain aspects of our products which are subject to guarantees for lesser time periods and certain aspects of our products which do not fall under our product guarantees at all. It is easiest to explain this in the table below. [Please do not hesitate to contact us if you would like us to clarify any of our guarantees with you]. What we say below does not in any way affect your statutory rights or any other rights which cannot be excluded by law. 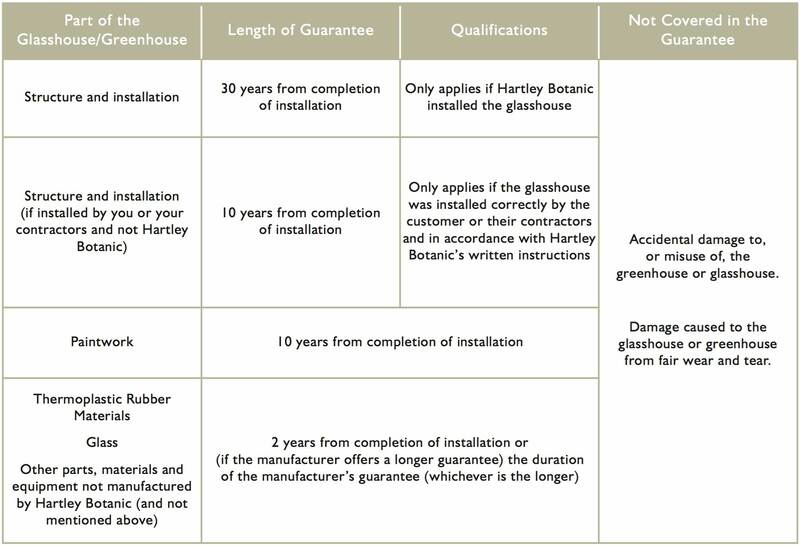 Any guarantee is in addition to, and not instead of your statutory rights. For further details regarding your order for our products, please see our Terms and Conditions of Sale supplied with your confirmation of order. Please Note: The Lifetime Guarantee is non-transferable.